BinaryOptionsNow – OneTwoTrade is a provider of binary options trading services. The company focuses on offering unique trading possibilities and tools that are not available at most other binary options brokers. The services provided are available using a highly professional web-based trading platform. OneTwoTrade provided high quality options trading solutions. The company offers trading possibilities on the most popular options types on the market. However, as said in the intro paragraph, the broker is defined by the multitude of special features and possibilities it offers. The first special feature available at OneTwoTrade is the Buy Me Out feature. This feature allows traders to close their trades in case they believe that their prediction will turn out to be inaccurate at the expiry time of their option. When an option is closed before the expiry time, the trader will be able to recover some of the money invested. Another exciting feature is the Roll Over feature. 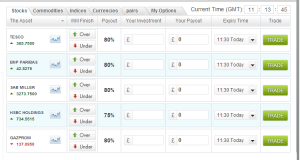 This feature allows traders to “roll over” their option to the next available expiry time. In case traders believe that their prediction will not be accurate by the expiry time of their option, they may as well choose to extend the expiry time. In order to use this feature, traders will have to invest 30% more on the option at hand. Yet another feature is the Double Up that will double the trader’s investment on an option if the trader is sure that his or her prediction will turn out to be accurate. The fourth feature available is the 60 Seconds feature. This allows traders to open trades with expiry times of just 60 seconds. The last special service is the 110% Money Back Guarantee. If traders’ first 10 positions are unsuccessful, the broker will repay 100% of the money invested and add an additional 10% bonus on top of it. 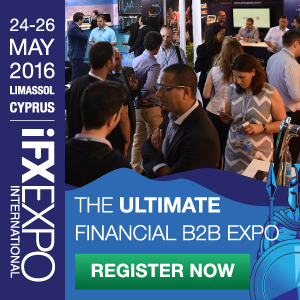 Most of these exciting features are not available at any other options broker. In order to trade at OneTwoTrade traders will have to make a first deposit of at least £200. The broker also accepts a maximum investment amount of £1,500 per trade. The broker promises payout rates of around 85% which are somewhat above the industry average. OneTwoTrade features a professional trading platform. The platform was designed with both new and old traders in mind. The platform is extremely appealing to new traders because it’s very user friendly and intuitive. 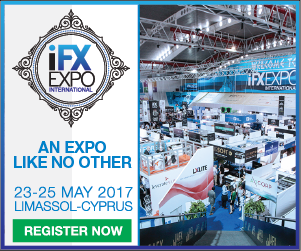 It’s also recommended to experienced traders due to the large number of features and tools provided. Another great thing about the platform is that it does not have to be downloaded. Traders are able to trade at the broker right from their web browsers. The web based platform uses latest technology, meaning that it’s optimized to be used on mobile devices as well. Traders can trade on a large number of assets at OneTwoTrade.com such as Indices, Currencies, Commodities and Stocks. At this moment the broker offers the possibility to trade on 56 stocks including Apple, Amazon, BP, Fiat, Google and more. There are also 19 distinct currency pairs provided including EUR/GBP, EUR/JPY, AUD/CHF, GBP/USD, GBP/RUB and more. In the category of commodities traders can trade on coffee, oil, gold, platinum, corn, wheat, silver and sugar. There are also 16 indices offered such as DAX, FTSE 100, Tel Aviv 25, IBEX 35, NASDAQ, S&P 500 and much more. At this moment the broker only operates in GBP. Deposits in other currencies are also accepted but in this case the payment processor or bank used by the trader will automatically convert the money into GBP. Traders will have to make a minimum first deposit of at least £200. Deposits can be made using Visa, MasterCard, Moneybookers or wire transfer. Withdrawals are processed using the same payment processors as the ones provided during the depositing process. There are no withdrawal limitations and the broker will not charge any fees on withdrawals above £200. However if a withdrawal is smaller than £200 then a fee of £39 will be used. OneTwoTrade can be contacted using the contact form provided by the broker on its contact page. Traders can also get in touch with a support staff member by calling a the number provided by the broker’s website. On the other hand, no live chat is provided at this moment. 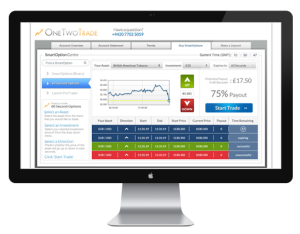 OneTwoTrade is an innovative binary options broker that uses a stylish and elegant platform. The main aspect of the broker is the fact that it provides various features and tools that are not available at any other binary options broker on the market. Additionally the broker also has a competent supports staff and promises advantageous payout rates.